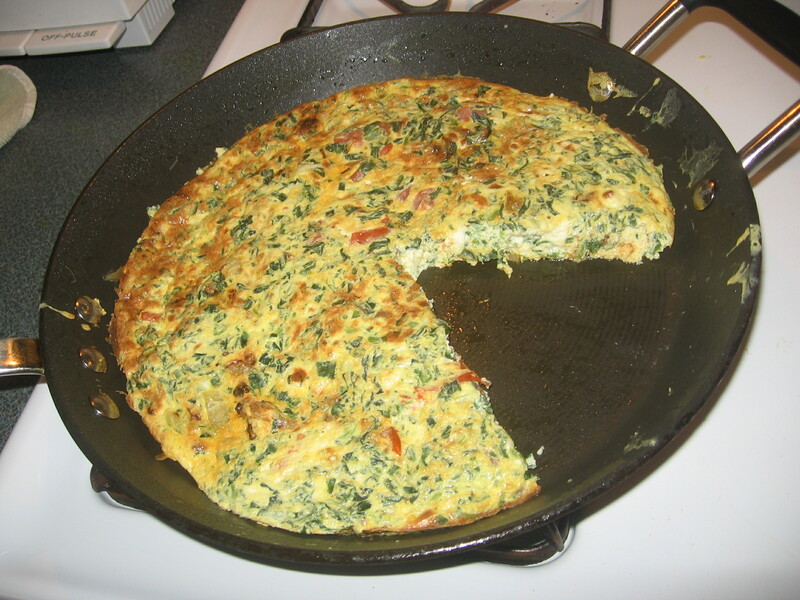 If you’ve never had a frittata before it is kind of a cross between an omelette and a quiche. 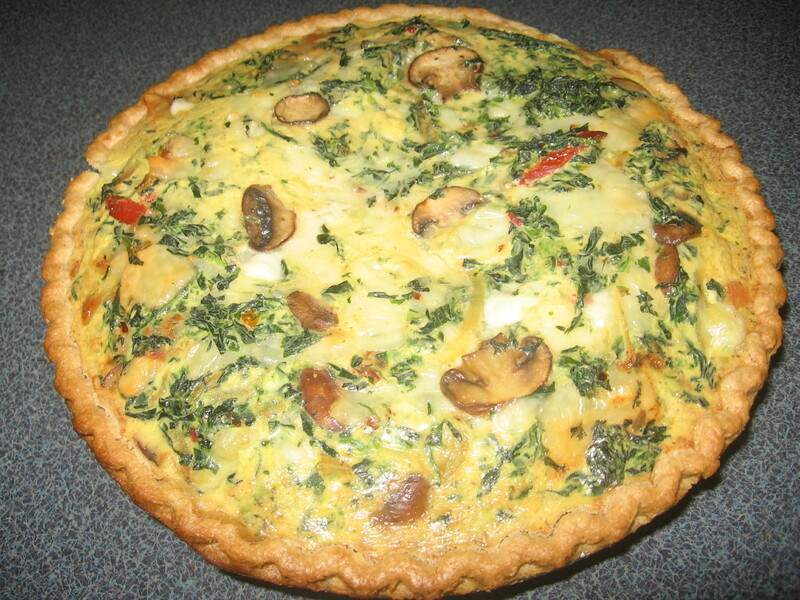 Ultimately, it’s flatter than a quiche and lacks the fatty crust. It’s also super easy to make. This morning I realized that I am lacking many basic ingredients to do anything to creative but did not want a boring bowl of cereal. 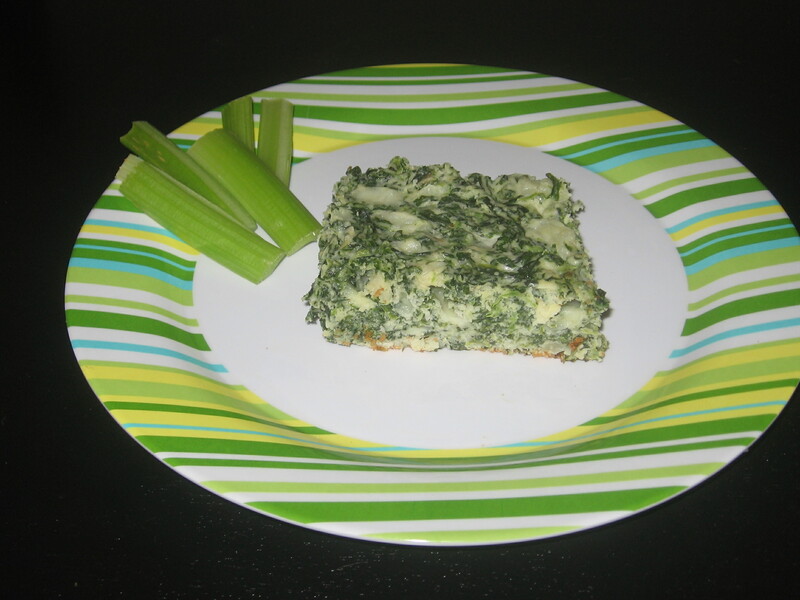 Thankfully I always have some frozen spinach on hand so I used that as my starting point. 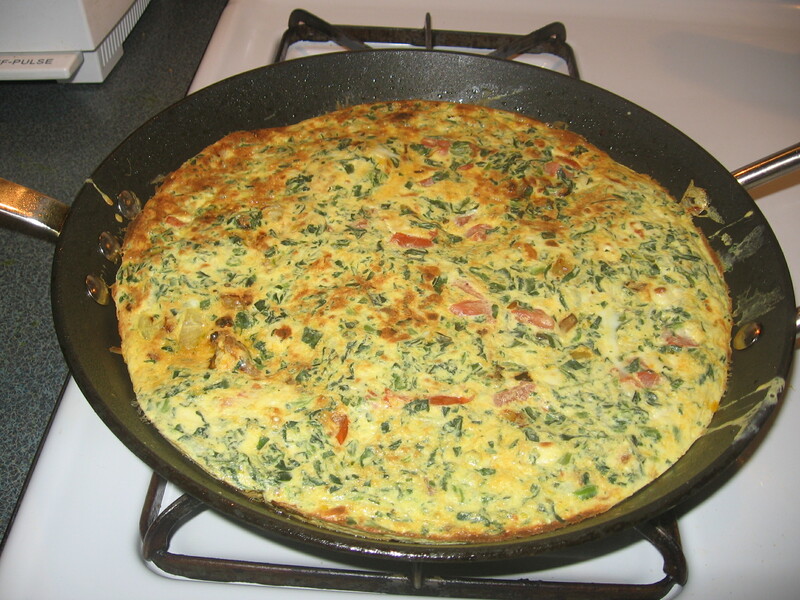 The unique thing about a frittata is that it’s cooked both on top of the stove and in the oven. You pretty much let the bottom set while cooking on top of the stove and then you place it under the broiler until the top is cooked and lightly browned. It’s much quicker to put together and cook than a quiche and stores just as well in the fridge for several days. I’ll be taking a piece of it to work for breakfast tomorrow. Add more oil to pan if needed and pour mixture into pan, do not heat above medium high or the bottom will burn! !